This article first appeared in the Winter 2018 edition of the NMA’s Driving Freedom Magazine. If you are a member of the NMA and have recently fought a ticket, send us your story to nma@motorists.org. Heading to our pre-dawn workout spot in the beautiful Santa Clarita valley, my wife had just cleared a hill when we spied the California motorcycle office positioned on a side street. Given the nearly empty road, he didn’t even activate his siren. He simply waved his hand to instruct us to pull over, along with the car ahead of us. Things started badly when my wife explained she had left her driver’s license at home, perhaps because her Spandex workout outfit had no pockets. She recited her driver’s license number to the officer, who seemed unimpressed. After verifying her information, he returned to issue my wife a trifecta of citations: 1) speeding, 2) following too closely and 3) failing to provide a driver’s license. My wife’s first instinct was to pay the nearly $700 in fines and plead for traffic school (at a cost of hundreds more), since losing at trial could mean four points on her license and dramatically higher insurance rates. 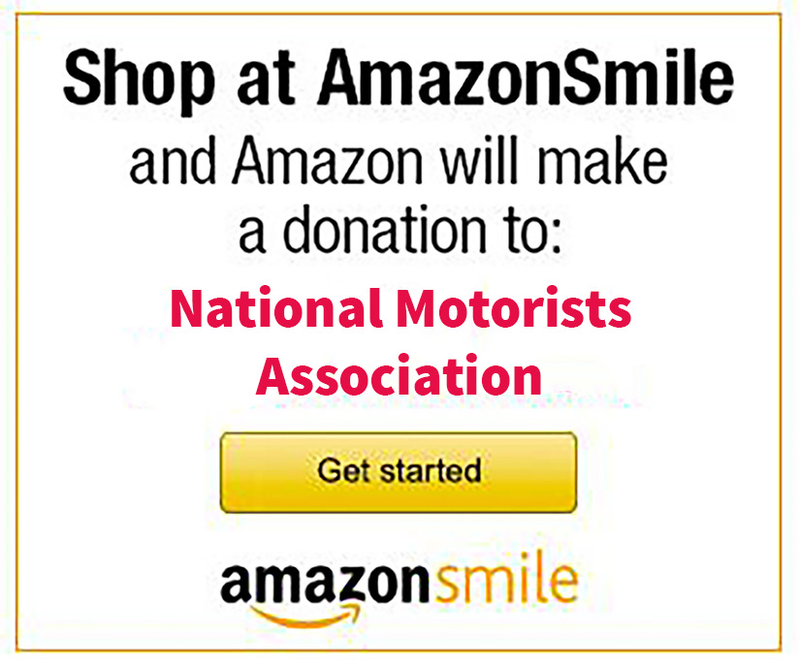 However, my years of National Motorists Association membership made me realize fighting the ticket could be our best option. Thanks to NMA’s educational resources and helpful insights from their staff, I realized we had a legitimate case for dismissal. We ultimately were able to beat what were unwarranted traffic tickets. And we ended up doing so from 6,000 miles away using California’s trial by declaration process to get the case dismissed. Here’s how we did it. The key was in the type of citations the officer issued. Once I looked up the traffic violations in California’s Vehicle Code, I discovered the officer had not cited prima facie violations, where the mere violation (say traveling 50 mph in a 40 mph zone) would be sufficient to prove guilt. Instead, the officer cited moving violations that were phrased as to require proof of endangering persons or property. Even if my wife was clocked at above the posted speed limit or shown to be following more closely than California law specifies, the prosecution still had the burden to show she represented a danger. We made a discovery request to the Sheriff’s office, to get the officer’s copy of the ticket, including any notes he may have made. In our jurisdiction, the officer serves a prosecutorial role in the courtroom, so discovery would be warranted to see what evidence the state had against us. Despite that, the office denied our request which we understand is too often the case. Our next strategy was to delay the case, in order to have more time to plan our defense and increase the chance that the officer would not attend our trial. We were successful in securing two extensions. However, a surprise opportunity to work in Europe meant that we would no longer be available for the trial. Upon explaining our circumstances in writing to the court, they agreed to allow us a trial by declaration – a process in which you contest a ticket in writing. Prior to our move, my wife and I had begun developing our courtroom strategy. Our plan had been to ask the officer a series of questions about road conditions, visibility, traffic, road width and wind on the day of the ticket. If we could establish that driving conditions were ideal, we could argue that driving at a speed above the posted limit would not pose a specific hazard. We also planned to establish that my wife maintained control of the vehicle despite that the car in front of us (which she was supposedly following too closely) slowed abruptly upon seeing the officer. The officer also stopped and presumably cited that vehicle, pulling us both over by sliding his motorcycle between us, a maneuver that would have been unsafe had we truly been following too closely. As we were no longer going to have the chance to face the officer in court, we revised our strategy by stating our observations as testimony in our written declaration to support that my wife’s speed and following distance were ‘reasonable and prudent’ given the conditions. During our preliminary research into the case, we searched the city’s most recent Speed Zone Survey Engineering and Traffic Surveys and hit pay dirt. A speed-zone study, released two months after the citation, categorized this particular stretch of road as underposted. In fact, the speed limit had since been increased by 5 mph, furthering our case that my wife’s speed was not dangerous. In our declaration, we reminded the court that the burden was on the prosecution to prove its case or dismiss based on lack of evidence. To support this, we cited two recent court rulings [People v. Huffman (88 Cal.App.4th Supp. 1, 106 Cal.Rptr.2d 820) and People v. Behjat (84 Cal.App.4th Supp. 1)] which have held that no conviction can be sustained unless the record contains substantial evidence supporting each element of the charged offense. Too often, citizens feel powerless to challenge traffic citations. Armed with the right information and the confidence to fight, my wife kept her driving record pristine, and we shared the satisfaction of beating a set of unwarranted tickets.